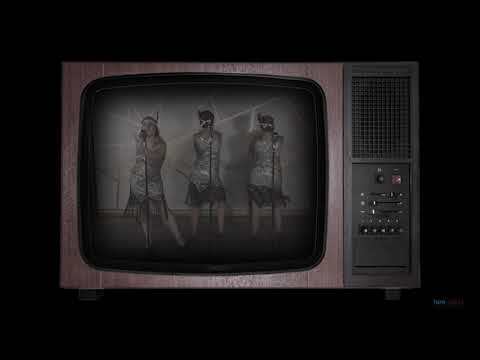 Combine three sassy voices and sharp dance routines with a fabulous collection of original and cover swing songs, and you have The Dotty Belles! A modern twist on the vintage close harmony trio, you won't want to miss. 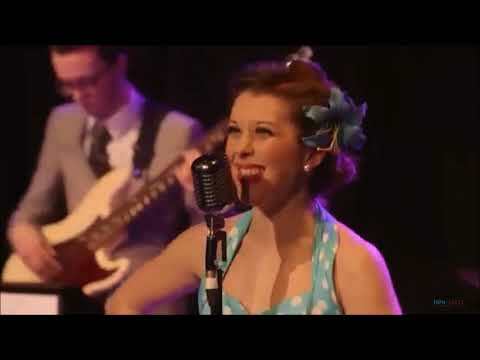 The group are bound to get you "In the Mood" to celebrate with their hits from the roaring 20's to the wartime 40's and 50's, as well as featuring a few modern arrangements. They have a wealth of experience and previous clients include Amazon, Hampton Court Palace, BBC, Royal Ascot, Blenheim Palace and the British Army. Whether you are looking for a group of hard-grafting Land Girls or cheeky glamour pusses, The Dotty Belles will explode onto your stage and give your event the WOW factor! They also offer dedicated Christmas performances, equipped with faux fur shrugs or Christmas style dresses. Get an instant quote and availability check now. the customers was fantastic and really made the event. to helpfully and with grateful flexibility. On the day they gave two performances, looking and sounding wonderful. I would absolutely look to book them again and would happily recommend them, having booked them on a recommendation as is. Thank you! The Dotty Belles were fabulous as always, and really brought a buzz to the atmosphere of our event. They're fun, friendly and engaging with the crowd. Well done for getting them up and dancing too! Can't recommend them high enough and looking forward to our next gig with the girls... Thank you! What can I say? Ella and her team were truly amazing and incredibly professional. They made the organisation and booking easy and efficient, listening and supporting our requirements and hopes for the evening. The team were incredibly professional and wonderful with our guests (especially our younger ones on the dance floor!) and made everyone feel fabulous on the dance floor! Thank you so so much and we would love to book you all again for a future event. We would highly recommend Ella and her team to anyone considering a vintage event!" we chopped and changed things) and on the night the ladies were just SUPERB! My client loved them (as I did!) and the dresses they wore were lovely!! I wouldn't hesitate to book them again! memorable evening for my Husband's 70th Birthday. We are thrilled we hired Ella to co-ordinate our ideas for this special event and delighted to endorse their services. Thank you all very much you were all wonderful you looked and sounded amazing. brilliant. Everyone has been very complimentary and saying how great you all were, for me as an organizer its “music to my ears”. Thank you for being brilliant and making my evening it was you guys that bought the energy and the atmosphere. I cannot thank you enough and you were all so professional. The London Gatwick and Heathrow airport set was absolutely fantastic with age old Christmas classics performed in such a unique way. The three girls (Dotty Belles) looked beautiful, their tight harmonies carried throughout the shops enticing all the Christmas passengers in to the stores to see what was going on. I enjoyed this performance so much that I automatically booked the team to sing at my wedding in June! What an amazing atmosphere The Dotty Belles created as all of my guests took their seats for dinner! So many of my guests commented on my good taste in entertainers and how wonderful you all were, and were asking for your details. Pure class! Many thanks for your performance during the Yeomanry annual dinner and congratulations on the quality of act. Your choice of songs (Chattanooga Choo-choo,etc.) was excellent and the dancing and singing delightful. It could not have been a better treat for the veterans present. Hope to see you again some time. Lovely to work with....Great act, will definitely book again. G Juett Show Designer Drive Productions, AGE UK Vitality Ball. I wanted to say a massive thank you for organising the entertainment at our wedding. The whole day went without a hitch and was a stress-free dream!! The Dotty Belles were absolutely amazing, the vocals were superb with great song choices. We will certainly be using you again for any future occasions and couldn't recommend you highly enough!! Thank you once again for helping to make our event such a success. The Dotty Belles were a great hit! I had a lovely time on Saturday. I thought The Dotty Belles were very professional and you all looked and sounded amazing. The Dotty Belles were just totally and utterly amazing!! The little event went like a dream and we felt absolutely privileged to have these beautiful and charming young ladies perform for us. It was an unforgettable experience which will stay in our minds for a very long time.